After creating a database, you will need to create a database user and add their privileges to the newly created database. You must create MySQL user accounts separately from mail and web accounts. 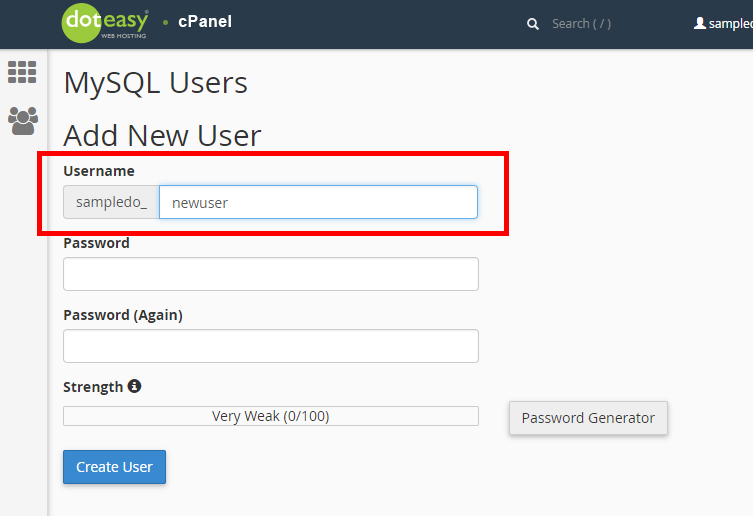 Under MySQL Users > Add New User, enter the MySQL username in the Username text box. In the Password text box, enter the user password. When ready, click Create User. Once you have added the new user, it will be added to the Current Users table. Next step: You will need to add the user to a database.